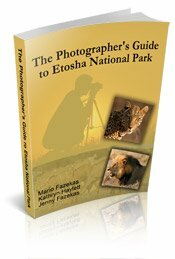 The Best Safari Flash - Nikon, Canon or something else? 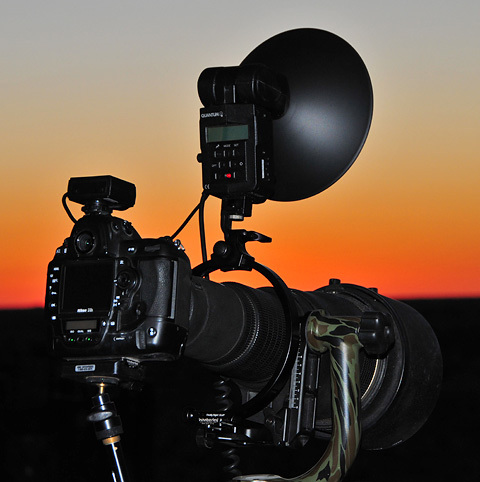 If you visit national parks such as the Kruger Park, Kgalagadi and Etosha you will have great opportunities to photograph at night but then you'll want to have a flash that is powerful enough to reach your subject thereby making it the best safari flash. 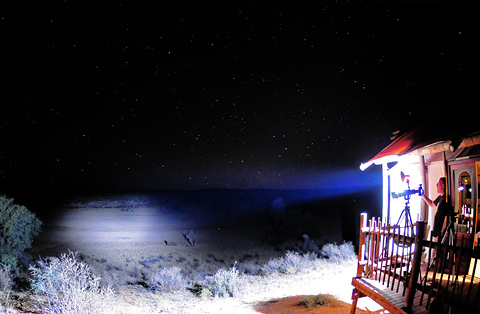 Most waterholes are about 50 meters from the chalets, tents and cabins so an average flash tends to be adequate. 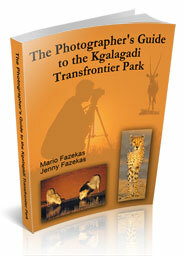 Camps such as Urikaruus and Gharagab in the Kgalagadi and Okaukuejo and Halali in Etosha fit this bill. Being Nikon shooters we found our old SB-800 and SB-900 flashes were great when combined with a Better Beamer. The flash could reach up to about 80 meters with good results. 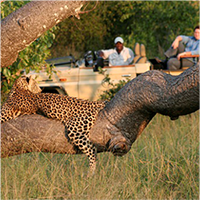 So for subjects up to 80 meters away, the Nikon SB-900 combined with the Better-beamer is the best safari flash. 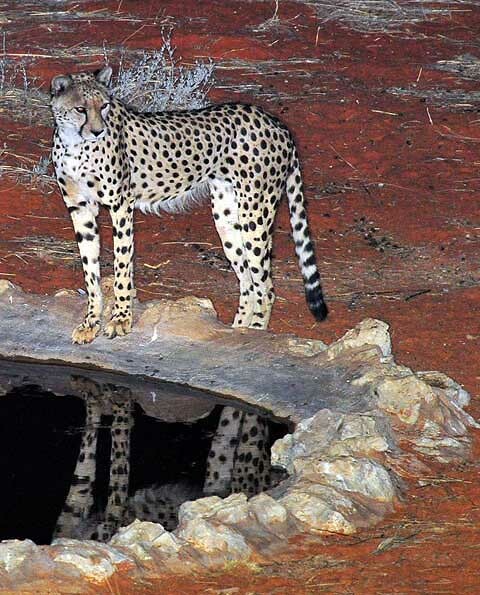 However, camps such as Kieliekrankie, Rooiputs, Polentswa and Kalahari Tented Camp in the Kgalagadi and Dolomite Camp in Etosha proved to be challenges as the waterholes are between 120 and 300 meters away from the chalets! As a result we would get most frustrated at these camps as we could not use our flash for nocturnal photography. Nikon announced a new SB-910 flash so we checked out the specs but we were not impressed. The SB-900 had heating issues (we did not experience these over-heating problems in our two SB-900 flashes) so the new flash now had a thermal slow-down instead of a thermal shut-down, a few controls have been 'improved' and that's about it. This is not a new flash but a tweak of the SB-900 - surely Nikon should have just done a firmware update or alternatively called it the SB-900S? The flash distance is exactly the same as the old flash. Hence we decided to do some research and emailed Metz in Germany, Quantum Instruments in the USA and we phoned our local camera store to see what else was available. Quantum Instruments were the first to respond, actually I should reword that - they were the only people to respond! We are still waiting for a reply from Metz and from one of the camera dealers in Johannesburg who promised to phone me back but I received no call. They both lost out on a nice order. Gerald Kraus, the Technical Support Specialist at Quantum in the USA sent us a list of items (flash plus accessories) we would need in order to achieve our goals with estimated flash distances for certain ISO and f-stops. It looked good so I placed my order with one of Quantum's distributors, Flaghead Photographic Ltd in the UK. I dealt with Hardy Haase and his service was five-star. I had placed my order with Hardy but he wanted to make sure that the equipment I was buying would actually produce the desired results so he took some photos at distances of 250 to 300 meters and emailed me so we could both feel confident that the Quantum flash would produce the desired results at these long distances. This type of service is unheard of nowadays! Once a company has your money they don't seem to care about the value you will be getting from their product, unlike Quantum and Flaghead who care about their clients. Anyway, the gear arrived in time for our Kgalagadi trip and the Quantum flash performed very well! I was using ISO 3200 at f8, which means there is still a lot of 'juice' left for longer distances as we can still increase our ISO to 12800 on the D3S and reduce the f-stop to f4 on the 600mm f4 lens. We will be trying these greater distances over December when we are in the Kruger Park. 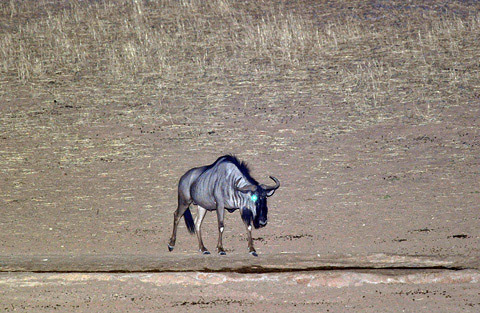 The waterhole is 120 meters away so, again, no chance of the Nikon SB-900 reaching the cheetah but for the Quantum, no problem! At the end of the day, if you want to photograph at night from camps such as Halali or Urikaruus or from safari vehicles on a night drive then a standard Nikon SB-900 or Canon 580EX speedlite plus Better Beamer to increase the reach will be the best safari flash for you. This includes fill-flash for daytime shooting. 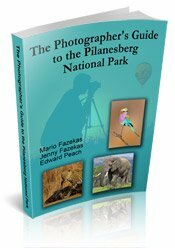 But if you want to start bringing home memories from Kieliekrankie, Dolomite camp and most of the Kruger Camps, then you should look at the Quantum flashes. They are lighter than the Nikon and Canon speedlites but they do have a large, but not heavy, battery so they are best suited for shooting from bungalows or from the wall at camps like Okaukuejo. 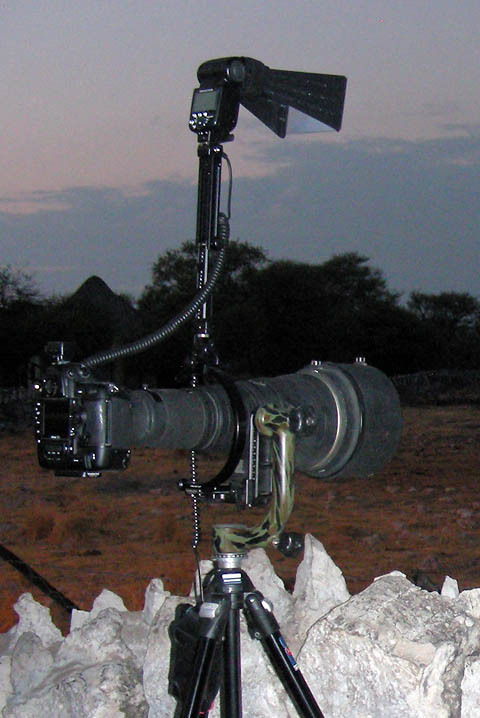 Don't use this flash when going on a guided game drive or any vehicle for that matter - it's just too bulky! For photographing from vehicles the Nikon SB-900 is adequate. The Quantum X5d-R Qflash can be likened to the Ferrari of flashes - it can shoot portraits and other close-up shots but it can also provide extreme reach when needed making it our best safari flash for distances over 80 meters. We had used the flash on just three safaris during the first year and it worked fine but on the third safari it stopped working. Fortunately it was just within the 12 month warranty so we sent it back to Quantum in the USA at our cost - $200,00 - which is 10% of the purchase price, but we had no choice as there is no longer a Quantum technician in South Africa. We had to send back everything including the heavy batteries as they couldn't tell what the problem was without looking at the items - hence the expensive courier charge. It was 'repaired' and sent back to us yet it still did not work! And then I noticed that the plastic cord covering from the flash head had come away from the head and the internal wires were exposed. 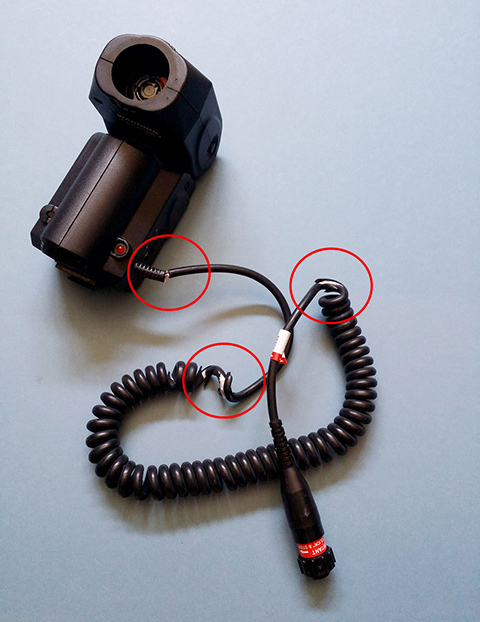 I then also noticed that the plastic coating on the cable was splitting in two other places. As you will see from the image above, the unit is in good condition so there was no abuse from me - this is simply a poor quality product. I ended up taking the unit to a local photo repair shop and they repaired the cord at no charge and it now works fine! If you don't live in the USA think twice about purchasing Quantum gear!